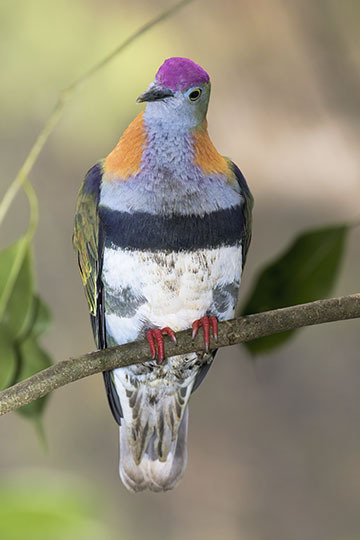 Australia has many striking pigeons and this is one of the most spectacular - if you can see it. 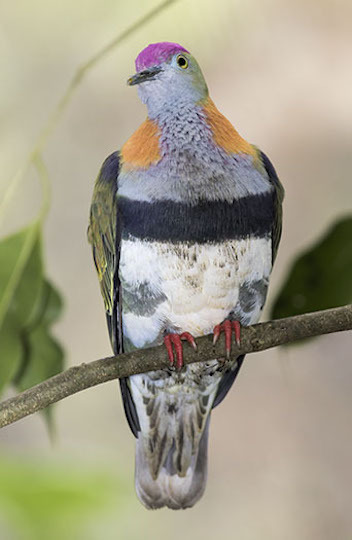 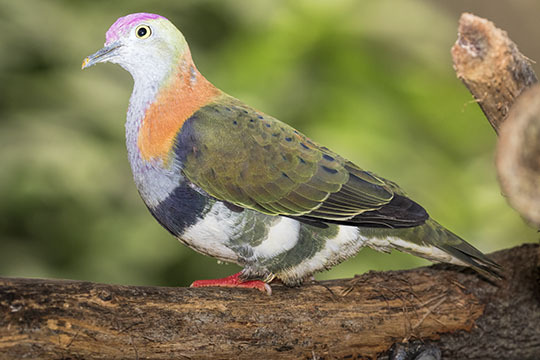 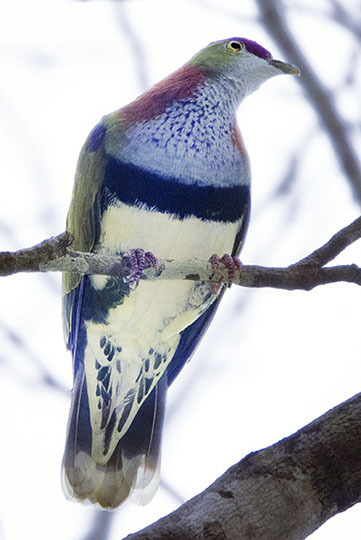 Superb fruit-doves, like their relative the rose-crowned fruit-dove, are shy rainforest birds of the eastern and northern coastal areas (sometimes also found in mangroves). 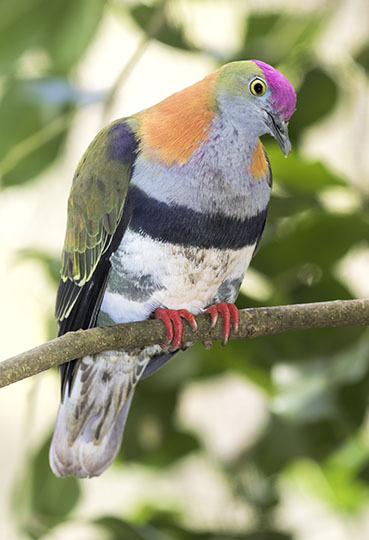 They are small and often hard to see despite the bright colors and are often located by their loud calls. 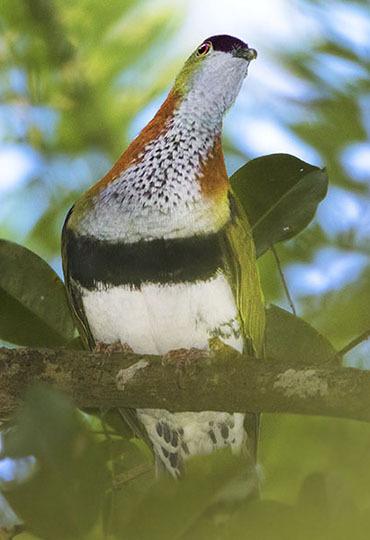 One of these birds (below) was very high in trees at Lake Eacham on the Atherton Tablelands in far north Queensland. 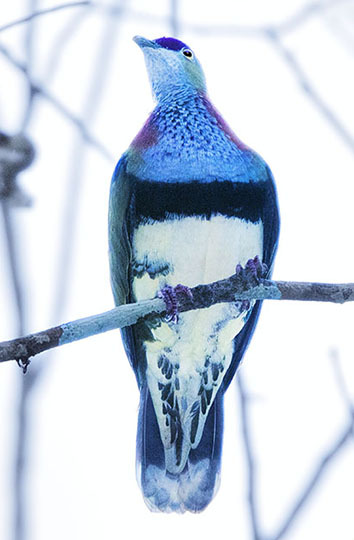 It was in terrible backlight and I had to really work over these images in Photoshop to make them halfway presentable. 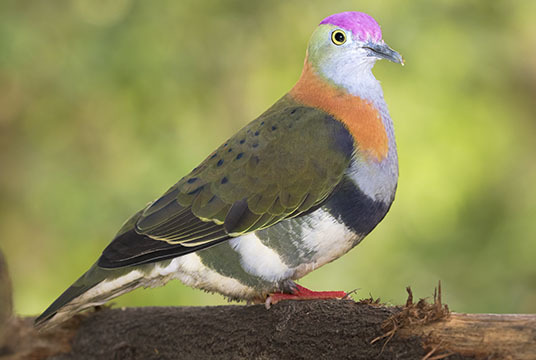 The others were lower and easier to deal with, when out in the open.